As spring is approaching (a little too soon in Minnesota this year), I can’t help but imagine the project-based learning activities I’d love to do with students if I could magically buzz back into the classroom. As a lover of gardens, starting a research project with my class on plants and gardening would be a no-brainer. Also, what better excuse to get outdoors with your class than having a class start a community garden at the school? But this year, something else comes to mind: honeybees. A few days ago, I received a letter in the mail—something that many might toss out as junk mail, but I opened it. It was a letter from the Sierra Club (and environmental organization) with an alarming statistic from a recent USDA report. According to this letter, 40% of honeybee colonies died in the last year. I knew that the bee population has been alarmingly in decline, but 40% is so much larger than I expected. This news made me realize what I would love to do with a class this year (if I had one)—I’d love to do a project on bees. Maybe we’d start with a class novel or literature circles (depending on students), and that could extend to a literature inspired research project. I would then provide nonfiction texts about bees, and have the kids do research about bees, their impact on us and the ecosystem, and OUR impact on them. I would look into opportunities to go on a field trip to a local beekeeper, and allow the students to plant bee-friendly wildflowers around the school to promote the bee population. With this idea in mind, I’m proposing a list of books that could be used while learning about bees. These books range from grade PK through high school because you’re never too young or too old to appreciate bees. I suggest studying both fiction and nonfiction texts, connecting your learning with writing, and making the research meaningful by having the students create or do something based on their learning. In my mind, this would be a cross-curricular activity between English/Language arts and science, but I could also see a social studies connection with activism and social policy. I could also see this bee project being an option for students if you think they may not all LOVE learning about bees. Maybe this could be a part of a spring project, and students could form groups based on their interests. I’ve organized this collection by interest level (from grades low to high). Also, I’ve included a few teasers that will be publishing this fall, so you’ll have to wait until next year to teach a few of these. Honeybee Man by Lela Nargi. 9780375849800. 2011. PS-2. Zinnia and the Bees by Danielle Davis. 9781496546616. 07/01/2017. 4-7. Hour of the Bees by Lindsay Eagar. 9780763679224. 2016. 6-8. Secret Life of Bees by Sue Monk Kidd. 9780142001745. 2003. 10-Adult. Honey Thief by Elizabeth Graver. 9780156013901. 2000. 11-Adult. The Bees by Lalline Paull. 9780062344229. 2014. YA-Adult. Thank You, Bees by Toni Yuly. 9780763692612 . 09/12/2017. PS-K.
Honeybees by Lisa J Amstutz. 9781515778363 . 07/01/2017. PS-2. A Bee’s Nest by Niles Worthington. 9781502620828. 2017. K-2. In the Trees, Honey Bees by Lori Mortensen. 9781584691150. 2009. K-2. Flight of the Honey Bee by Raymond Huber. 9780763676483 . 2015. K-3. Honeybees by Mari Schuh. 9781620314708 . 2016. K-3. Honeybees by Joyce Milton. 9780448494937 . 2003. 1-3. Bees by Sally Morgan. 978077874049. 2008. 1-3. If you Love Honey: Nature’s Connections by Martha Sullivan. 9781584695349. 1-3. Bees Matter by Erika Wassall. 9781680780086. 2016. 3-6. Case of the Vanishing Honeybees : A Scientific Mystery by Sandra Markle. 9781467705929. 4-6. You Wouldn’t Want to Live Without Bees! by Alex Woolf. 9780531224878. 4-6. Hive Detectives: Chronicle of a Honey Bee Catastrophe by Loree Griffen Burns. 9780544003262 . 2013. 5-8. The Bee Book by Fergus Chadwick. 9781465443830 . 2016. 5-10. 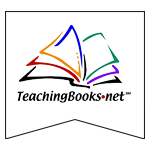 ← Bios: The Ones Your Students WANT To Read!